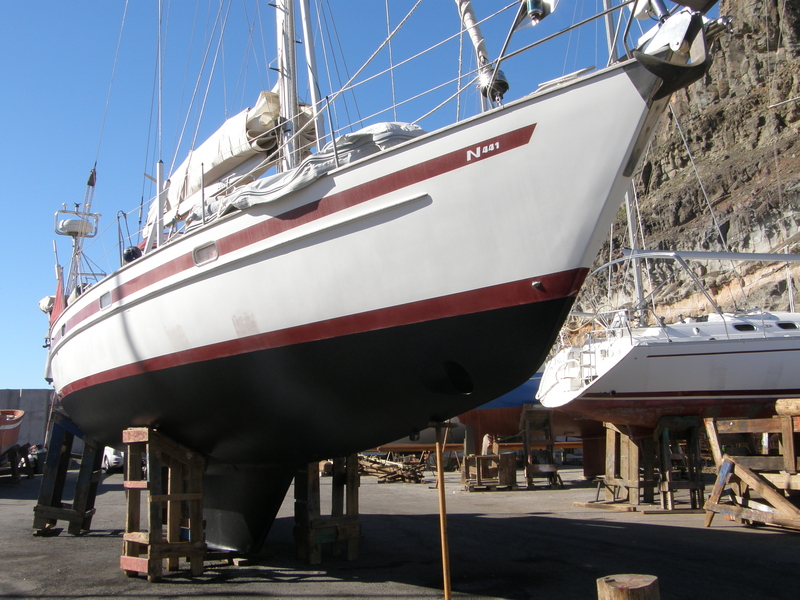 NAJAD 441 S/Y Zara She was built to an extensive specification as build Nr. 35 at Najadvarvet in Henån, Sweden. Zara was launched in April 2001. She is equipped for blue water cruising. Zara is well loved and very high specification. Her level of equipment is precisely what you would expect from an ocean going yacht that is self sufficient at sea for weeks on end. Dimensions and data: Length hull 44’1”(13,50 m) Length waterline 37ʼ 1ʼ (11.55m ) Beam 13’1” ( 3.99 m) Draught 6’6” (2.00 m) Displacement 14 500 kg (14.5 t) Lead keel 6 000 kg (6.0 t) Mast height above water line 63’1” (19.25 m) Engine:Yanmar 4JH3-HTE 96 hp, 72 kW Sail areas: Main, 484 sq.ft. (45.0 m²) full battened, Selden RCB rollers, 3 reefs Furling Genoa 150% 775 sq.ft. 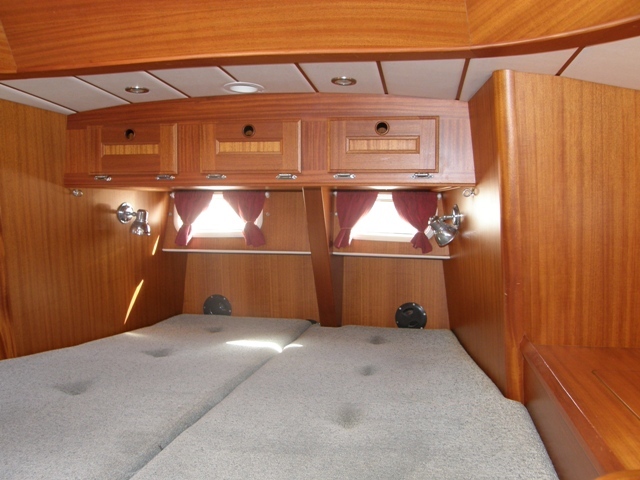 (72.0 m²) Cutter stay sail 377 sq.ft. (35.0 m²) Gennaker 1 722 sq.ft. (160,0 m2) Trysail with extra track Specifications This very well presented and regularly updated Najad boat offers an inventory that’s to be expected in a yacht of this calibre. 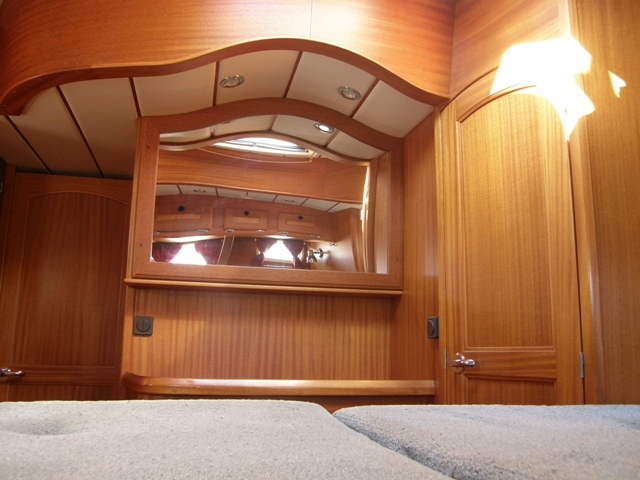 The interior is handcrafted in selected and luxurious African mahogany, hand polished and varnished to a satin finish. One of the immediately striking characteristics of the Najad 441 is the large, flush teak deck, which gives the yacht its classic lines, and also makes it easy and safe to work on the yacht. The cockpit is spacious and is protected by a fixed, toughened glass windscreen which is further enchanced by a sprayhood that folds flat when not in use. new fire exstinguisher, new fridges, new seacocks and new windows, 2016-17. New stuffing box and shaft bearing. rigging screws, A lot of new gears and upgrades. 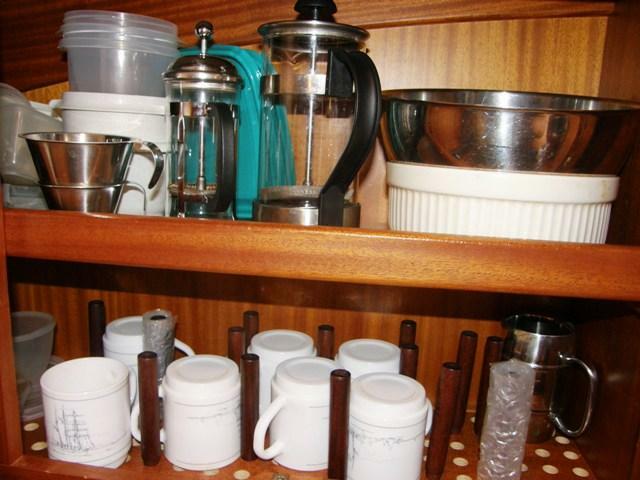 All new items or maintenance work have been carried out during the past years. 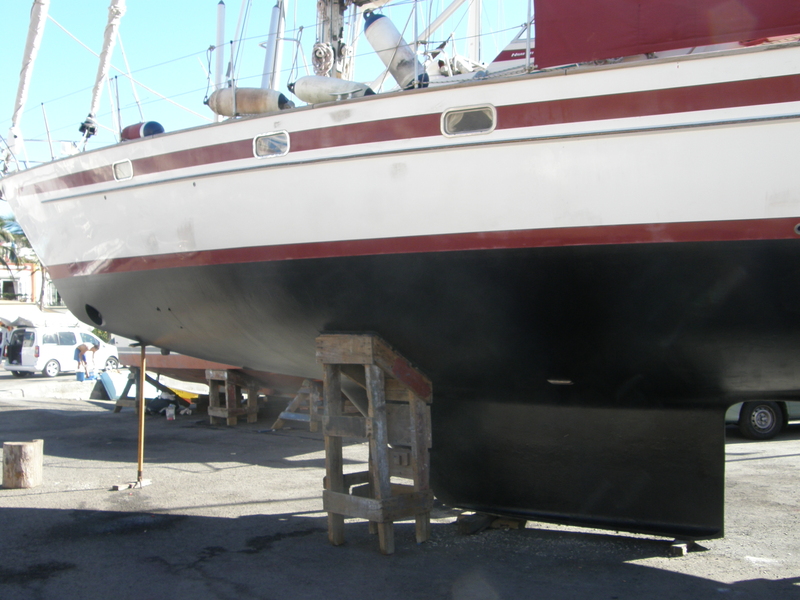 Construction GRP & Balsa-core sandwich hull & deck. GRP superstructure. Teak laid decks. Bolted on lead fin keel. Skeg hung rudder. Accommodation Number of single berths: 2. Number of double berths: 2. Number of cabins: 3. Number of heads: 2. Machinery Yanmar 4JH3-THE 96 hp diesel engine. Mechanical gearbox with shaft drive. 3-blade propeller. Cruising speed approx 6.5 knots under power. Maximum speed approx 8.5 knots under power. Cruising range 450nm. Electrics 1 x 12v 115ah engine start battery. 4 x 12v deep cycle service batteries providing 340 Ah 24v. Charged by 1 x 175 Ah high output engine alternators. 230v Victron Energie smart charger. Diesel generator Whisper / Mitshubishi 6,5 kW. 230v / 110 v shore power & cable. DCC 4000 battery control. Mastervolt inverter 2500 W. . Instrumentation Furuno weather fax 207. Furuno navtex 300. Raytheon ST 60 log, depth, wind & 2 multi display. Raytheon RL 80 type radar / chart plotter colour, RL 70 colour repeater. Interphase sonar. 2 Garmin GPS II Plus. Suunto 135 main compass. Communication Shipmate RS 8300 dual station VHF, emergency antenna. Multi function RR Pasific antenna at masthead. 2 Icon handheld Euro V VHF. Icom IC-M 802 HAM / SSB radio. Needs service. Pactor III modem. Thrane & Thrane MiniM satphone, disconnected. Raytheon 4 kw radar antenna. Steering Wheel steering. Cable + quadrant. Raythenon 7000+ autopilot. Raymarine ST 1000+ autopilot for windvane. Raymarine wireless remote control for autopilot. Vetus 10 hp, 24 V bow thruster. Emergency tiller. Lofrans windlas 24V/1500W. Tangage Fuel capacity 330 litres in two stainless steel tanks. Fresh water capacity 500 litres in 2 stainless steel tanks. Holding tank capacity 170 litres in two stainless steel tanks with manual & deck pump-out. Watersystem Pressurised hot & cold water throughout. Shower at the swimming platform. Water heated from main engine & immersion heater. Warm water heater 28 l. HRO water maker 60 Itr/h. Disconnected, serviced and stored. Manual/ electr. bilgepump. High efficiency bilgpump. Rigging Masthead sloop rigged with Selden two pairs of spreaders, twin lower shrouds and baby stay. Removable inner forestay ( cutter stay ) with adjuster. Seldén mast in silver anodised aluminium profile 237 / 162 mm, height 58 ʼ ( 17,7 m ) above deck, stepped on the coachroof and supported by a galvanised steel pillar that is based on the longitudinal and transverse bottom reinforcements. Try sail track. Selden rodkick with gas damper. Mast steps. Stainless steel chain plates, bolted to transverse bulkheads which are laminated to both sides of the hull. Main sheet to two stainless steel selftailing winches Andersen on adjustable ball bearing car on track. Headsail sheet. Profurl electric headsail furling gear. Stainless steel 19 x 12 standing rigging. Spinnaker pole & gear. Reefing lines lead aft to cockpit. 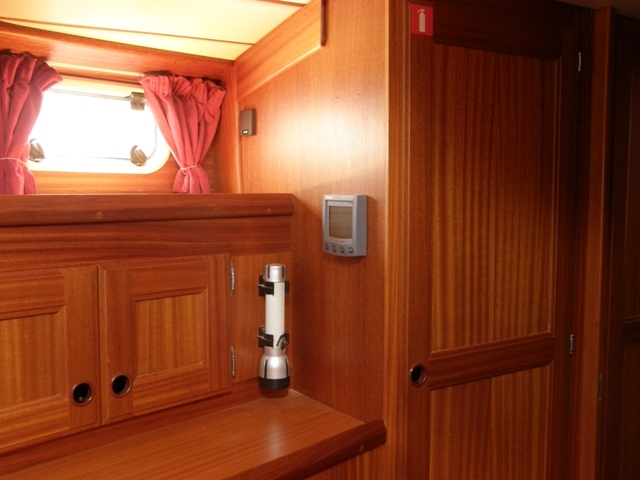 One-line reefing system. Hydraulic backstay adjuster. One stainless steel deck fitting to run all cables to mast. All mast cables are connected below deck. WINCHES 2 x Anderson #58 2-speed self-tailing electric primary winches 1 x Anderson #40 2-speed self-tailing electric secondary winch 1 x Anderson #40 Electric 2-speed self-tailing secondary winch 2 x Anderson #40 2-speed self- tailing mast winches Covers Bimini Top. Cockpit cover. Sprayhood. Whole boat sun cover. 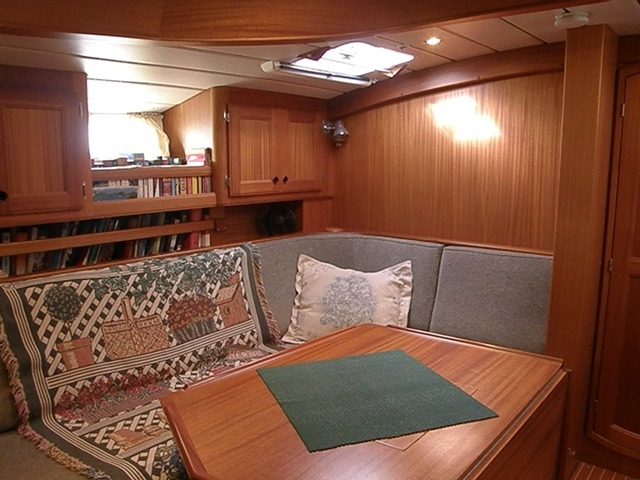 Layout and Interior Sofa berths either side of a drop leaf table in saloon. Galley to starboard. Stereo Radio and 2 Speakers in cockpit and 2 in saloon. Two WCs manual with showers and corian floor. Hot water system with heating from main engine and immersion heater. 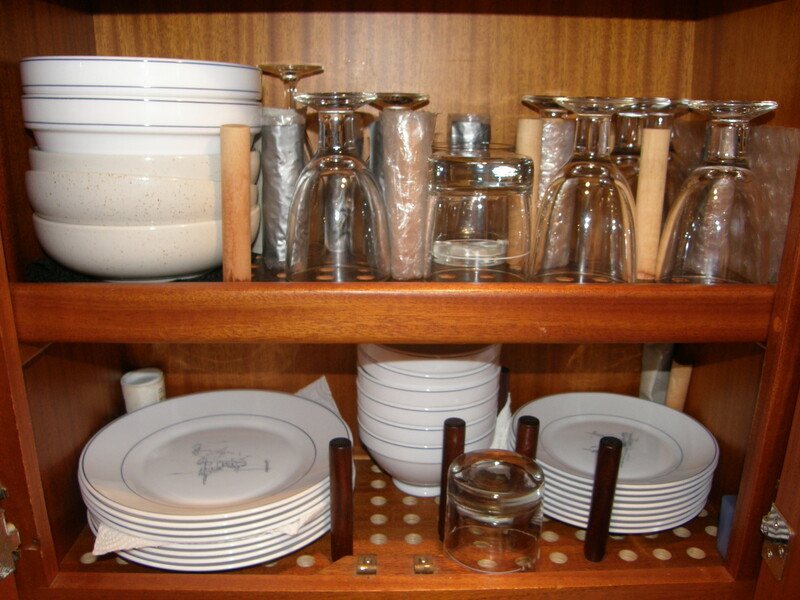 Refrigerator & freezer in galley. 1 freezer and refrigerator in the gangway, opposite to the head. 4 burner stove with oven including microwave & grill. Kenny washer/dryer. Heating – Eberspacher D5L-Cwith 6 outlets. Gas detector. Solenoid valve for turning off gas at bottles. Deck Equipment Teak deck Cockpit table stowed in cockpit locker Bathing ladder on bathing platform Windscreen. 1 Bruce anchor 30 kg with 70 m anchor chain, 1 stern anchor CQR with 40 m chain, Fortress FX 23 aluminium anchor, 7 m chain. 2 electric anchor windlasses , 1 for each anchor. Tender Carib 10 ft. and Tohatsu 3,5 Hp 2 stroke-removed, Evinrude 15 hp 2 stroke-removed, anchor and bathing Ladder for tender, Deck lights. Boat hook. Life buoys. Outboard brackets. 1 gas bottle-place for two. Modula Plus life raft for 6 persons-removed, Plastimo lift raft for 6 persons with bracket on pushpit. Life lines. 70 m anchor rode on reel (6000 kg bI). 2 mooring lines with chain loop and springs. 6 mooring lines. 8 fenders. Mc Murdo GPS 406 Mhz epirb with hydrostatic release. Miscellaneous complete diving set, enlarged forward cabin, extra fridge and freezer, additional storage and mirror, built in valuables safe, salt water washing pump outlet in anchor box, dimmer in saloon lights, Aquasignal tri color + anchor light, Blaupunkt Tokyo radio/CD, 2 laud speakers in cockpit, remote control for both anchor windlasses, 2 side gates in lifelines, bronze rub strakes at all cleats, pulpits on mast, chairs on bothside in aft pushpit, extra dorades in aft cabin, lee clothes in every bunk and saloon settees, 2 extra opening ports in aft cabin, boom light, lots of cuttlery, Firdell Blipper radar reflector, insulated back stay (SSB antenna), alarm system on all hatches, Hella fans 4 x, custom bow sprit + 2nd anchor roller, dual Racor fuel filters, Volvo bacteria killer, outboard hoist incorporated in radar tower, dodger, bimini top, Grundig colour TV, Nicro solar vent in aft head, Extensive cruising spare parts, tools, lines, etc Latz clock and barometer, Oregon electronic weather station, Black8&Decker Quattro multi tool, Black&Decker electric drill, 4 extra 20 ltr diesel containers, Baja fuel filter, deck light bow and stern, automatic bread maker, Magma SS rail gas BBQ, mosquito nets covering all hatches, flares, abandon ship bag, Baltic auto-inflating life jackets with safety hardnessess, offshore medical kit , Nicro solar vent in aft head. This yacht is offered in good faith but cannot guarantee or warrant the accuracy of this information nor warrant the condition of the vessel. A buyer should instruct his agents, or his surveyors, to investigate such details as the buyer desires validated. This vessel is offered subject to prior sale, price change, or withdrawal without notice. Last updated in December, 2018.